I’m sure we all have our own beliefs and truths when it comes to “getting fit”. If you are new to fitness, you might unknowingly be influenced by some of the “inaccurate” advice given by the people around you. We all want quick results and we want to do the “right” things to achieve that. So let’s talk about the Top 10 Fitness Myths to Stop Believing. There is no evidence that exercising in the morning means you’ll burn more calories throughout the day. Yes, I’d agree that if you workout in the morning, chances of you giving yourself excuses not to workout later on in the day will be less. It can also boost your mood and energy throughout the day. Exercising in the morning doesn’t mean you’ll burn more calories and get quicker results. But if you can’t find the time to fit in a morning workout, that doesn’t mean that you won’t gain the same benefits when you exercise in the evening. Exercising in the evening is equally just as beneficial. The key is to workout when it’s most convenient for you. Do what works best for your schedule because that way, you’re more likely to stick to your workout! That way, you’re more likely to stick to your workout routine! 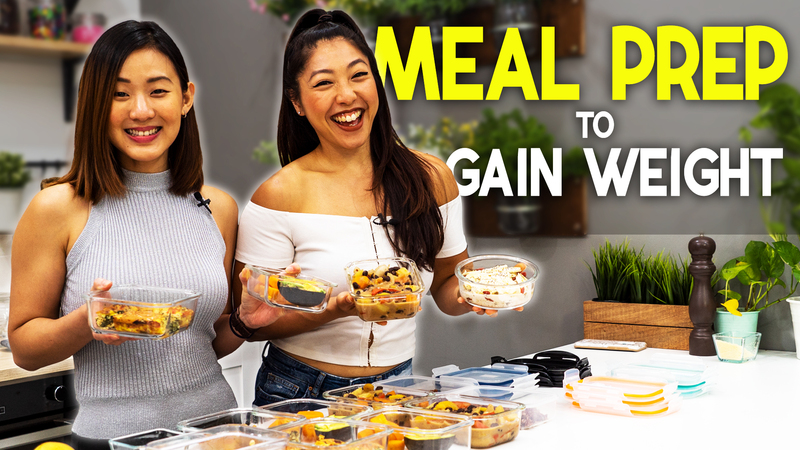 Do you know of people who restrict themselves from eating after 8pm because they truly believe that they’ll gain weight if they eat after a certain hour? That’s an absolute myth! Eating late at night will NOT make you fat as long as you stay within your body’s daily calorie needs! It is not about the timing of when you consume your food, but rather the total amount of food you eat in the day. If you consume more calories than what your body is able to burn, regardless of the time, then yes, you will gain weight. The reason why this myth exists is because, when it’s late at night, we have the tendency to eat mindlessly out of habit, boredom or tiredness. We’re also more likely to make poor food choices at this time such as munching on chips or ice cream, will watching TV. As a result, you consume more calories than what your body needs and gain extra weight. But remember it has nothing to do with the time of the day. Eating too many calories, regardless of the time of day can lead to weight gain. Myth 3: I’m trying to lose weight, I’m avoiding carbs. EVERYBODY must have heard this next statement before. “Oh, I’m trying to lose weight, I’m avoiding carbs”. First of all, let’s understand what are carbs. So I have a list here, wholegrains, rice, pasta, bread, green leafy vegetables, fruits, legumes, cakes, muffins, fries. All these ARE crabs! It’s not about cutting carbs, but rather, it is about choosing the RIGHT carbs to help with your weight loss process. The GOOD whole carbs such as vegetables, whole fruit, legumes, beans, potatoes and wholegrain will provide your body with sustained energy, curb hunger and keep your waistline happy. On the other hand, the BAD refined carbs, such as cakes, pastries, processed foods; sugar-sweetened beverages can cause your blood sugar level to spike, which leads to hunger and craving for more bad foods. They are “empty” calories, with close to no nutrients and will cause you to gain weight especially fat around the belly. So remember, CARBS do NOT cause weight gain. It is about choosing the RIGHT CARBS and eliminating the BAD CARBS from your diet! Choose the RIGHT carbs and eliminate the BAD carbs! What you eat will determine 80% of your success. Where you get your calories from plays a huge role. Not all calories are equal. Different foods process differently in our body. A diet rich with whole carbs, clean protein, healthy fats and vegetables will provide you with sustained energy, curb hunger, increase your workout performance, build lean muscles, plus healthier skin and hair. In contrast, if your diet consist of processed foods and junks with very low nutrients, trust me, you’ll constantly feel lethargic, you’ll feel hunger all the time, you’ll crave for salty or sugary foods and as a result, you’ll be consuming more calories than what your body needs. Processed foods & Junks = lethargic, constantly hungry, crave for salty and sugary foods, eat more calories than what your body needs. So pick the right food for your body and you won’t need to restrict yourself or go crazy about counting calories. The scale is in fact the most inaccurate way to measure your weight loss progress. What you should be looking at is your body composition, the muscle to fat ratio. Muscle is about 18% more dense compared to fat. So one pound of muscle takes up less space compared to one pound of fat. Here are two pictures comparing two different women at exactly the same weight. The woman who strength train is slimming because she has more muscle mass and less fat compare to the other woman. So if you have been training and you have been losing inches and your clothes fit better, but the scale hasn’t budged, well don’t worry, that’s because you’re losing body fat and gaining lean muscles at the same time. You are heading in the right direction! Look, we women do not have enough muscle building hormones to pack on muscle mass as easily as men do. Those big and bulky women bodybuilders do not just lift weights and eat clean to achieve that body. In fact, they have a very strict diet, train intensely and take specific supplements to achieve their figure. You will NOT BULK UP from lifting weights! So, no ladies, you will not bulk up unless you intentionally train and eat to bulk up. Instead, lifting weights is going to change your shape giving you’re a toner and stronger look and change the way you fit in your clothes. Weight lifting will give you beautiful curves and a toner and stronger looking body. I hope you’re not one of those people who would do 100 crunches every day and hope that the belly fat would melt away? Well I have bad news for you, you can’t spot reduce fat! Doing lots of crunches or other ab exercises can help to strengthen your core muscles, but they will not give you a toned flat tummy. You have to include total body cardio + strength training to burn the layer of belly fat off. 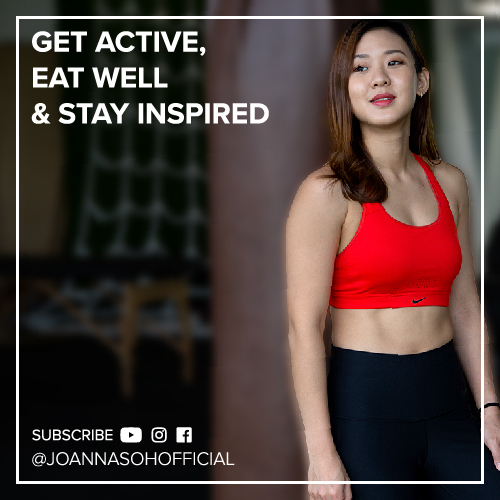 Do check out my workout videos to get you started. Yes, traditional cardio will help create a day-to-day calorie deficit, which can help with weight loss, but it is just short term. For a lasting change, you have to integrate strength training into your routine. Strength training builds lean muscle mass, which increases your metabolic rate and turn your body into a fat burning machine, even when you’re not exercising. Remember, for best results combine both cardio and strength training. Best results, combine cardio & strength training. It’s not about the length of the workout, but rather the intensity of the workout. Shorter intense workouts are more effective in burning fat and lose weight. So shorter intense workouts are actually more effective in burning fat and can help you achieve your fitness goals faster. So a solid 30-minute intense workout session with very little rest in between can be more beneficial in comparison to a full hour of low intensity workout session. However, that doesn’t mean you should be performing high intensity workouts every day and not give time for your body to rest and recover. When your body is resting, you’re allowing your muscle fibers to rebuild and become stronger. So the good news is you don’t have to train extremely hard 7 days a week to get the results you want! How much you sweat does not determine the amount of calories you’ve burned or if you had a solid workout. When you exercise, your body heats up. Sweating is a natural response to prevent your body from overheating. How much you sweat is determined by different factors, the temperature you workout in, humidity or how fit you are. You’re not going to sweat as much in colder climates. But that doesn’t mean you didn’t work hard enough. And generally, the fitter you are, the sooner you’ll sweat, because your body’s “air conditioning” system will turn on fast. Again, that’s not always the case as we are all different. Rather than focusing on how much sweat, focus on the intensity of the workout and give your best effort at every session. So these are some of the most common questions I get asked ever so often. I hope this video will help debunk some of the fitness myths you’ve heard. What other myths have you come across?